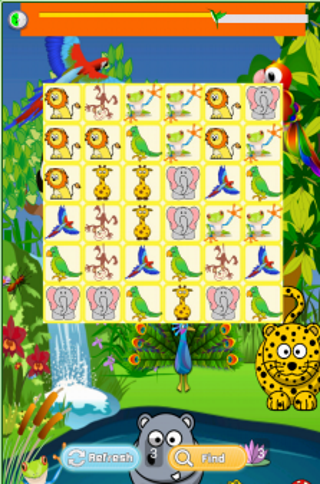 If your kids love nature, Jungle Friends Match is the game for them!. This nature games for kids allow your little ones to learn about the different kinds of animals you can find in the jungle featuring colorful images of cute animals. This free match games is also good to improve your kids motor skills while having fun!! This jungle games is a timed matching game, where you have to match 2 equal cards located next to each other, but as you open space between the cards you can match them even if they are not next to each other!. 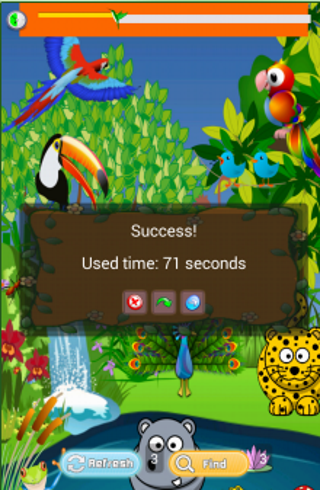 The first round in this animals game for kids is 100 seconds and each after that is 10 seconds less, so will have the time to improve each round. You also get some help along the way. You can use the Refresh button 3 times, this mixes up the game cards so it is easier to find linking matches. You can also use the Find button 3 times, and this will find the matching links for you. 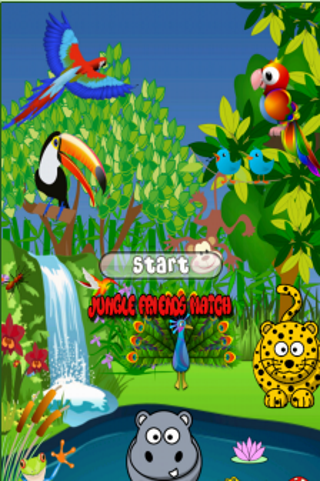 Enjoy this beautiful jungle free game and win the matching race!